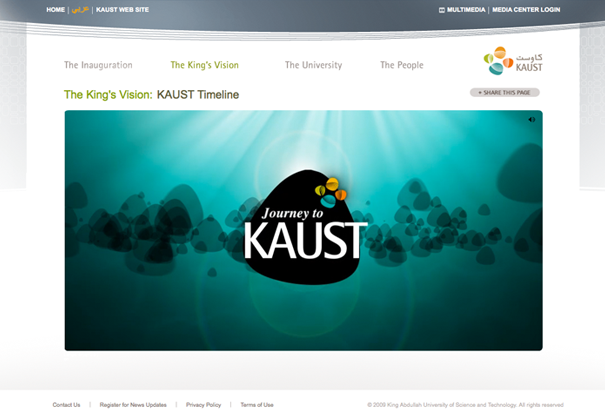 KAUST Inauguration Site from Peter Quinn on Vimeo. 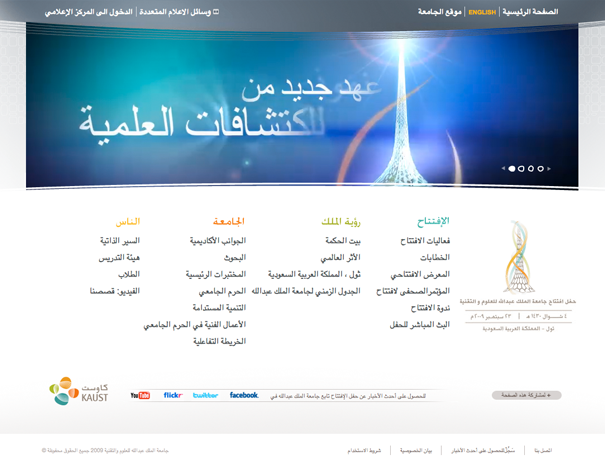 King Abdullah University of Science and Technology was a huge and grand project– A benchmark for higher ed. 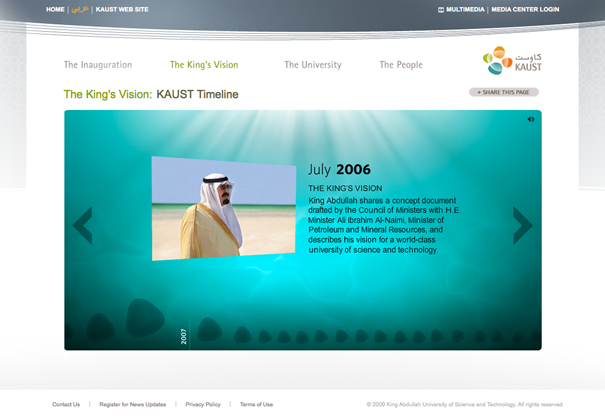 KAUST sits about 40 minutes north of Jeddah on the Red Sea coast. 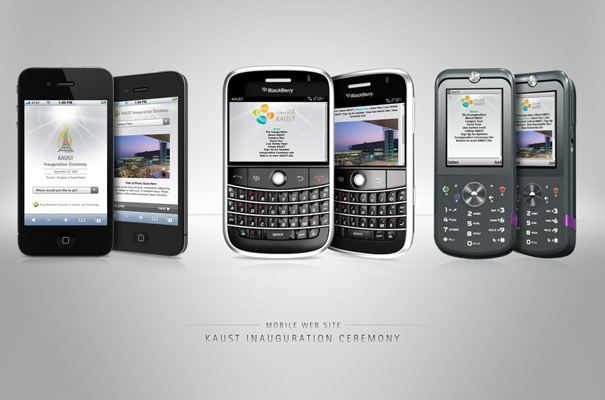 They hired us to create a web site, but that initial request turned into a long relationship. We put up a site before there was a school. Then as the school became a reality, we slowly mirrored the actuality of it in the site. 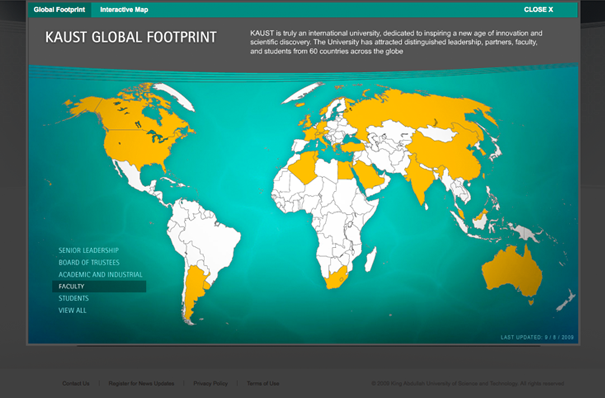 We launched the school to the world, and it was huge. 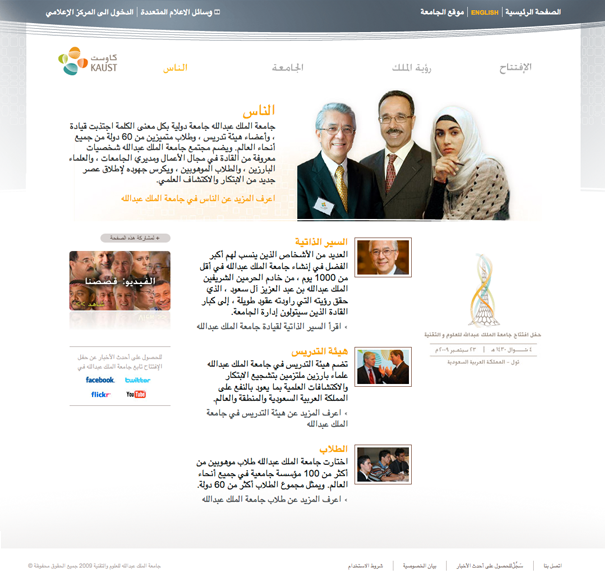 And we helped them do it through messaging, social media, design, web site development, video, animation, and print ads. We made it in Saudi Arabia and we made it here in the U.S. We became their voice, their eyes and ears.